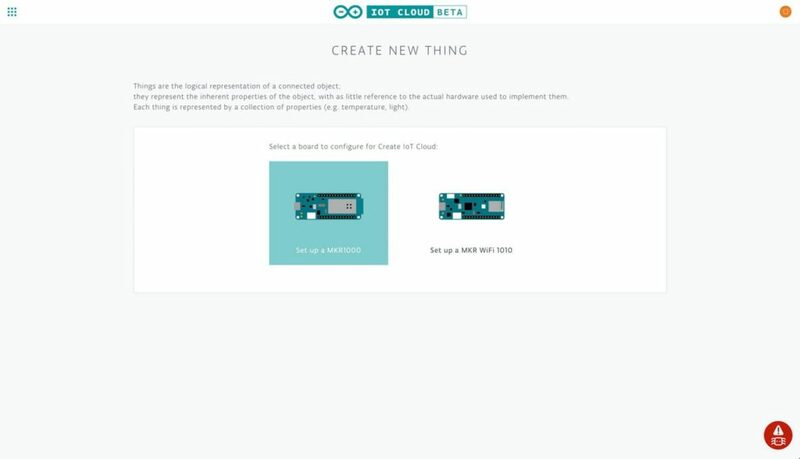 As previously announced, the Arduino IoT Cloud is an easy to use Internet of Things application platform that enables developers to go from unboxing their board to a working device in just minutes. 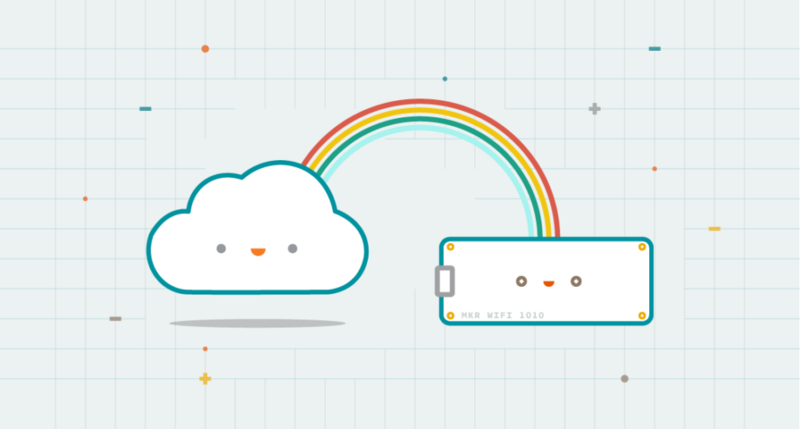 To help you get started, we’ve put together a quick project that’ll walk you through connecting a MKR1000 (or MKR WiFi 1010) to the Arduino IoT Cloud. By the end of the tutorial, you’ll be able to control and monitor your board over the Internet using the Arduino IoT Cloud site. First, we’ll add the board to the Arduino IoT Cloud as a Thing — a representation of the board in the cloud. We’ll then give the Thing a set of Properties which represent sensors, LEDs, motors, and many other components in the project that you’ll want to access from the cloud. Want to see more? You can find the entire step-by-step guide here. The system relies on “things” like temperature sensors, LEDs, and servos. With all the focus on security now, it isn’t surprising that the system supports X.509 authentication and TLS security for traffic in both directions. Honestly, we tried it and the web-based IDE couldn’t find our MKR1000 board under Linux. That could be a misconfiguration on our part, but it is frustrating how little information you get from many web-based tools. It decided we had multiple Arduinos connected (we didn’t). Then removing a multiport serial adapter made it see no Arduinos even though there was an MKR1000 Vidor attached. Naturally, there are plenty of options when it comes to putting devices on the cloud. However, if you are only using Arduino boards, this one is going to be pretty seamless — assuming it works for you. If you were sad that Codebender had bit the dust, cheer up. 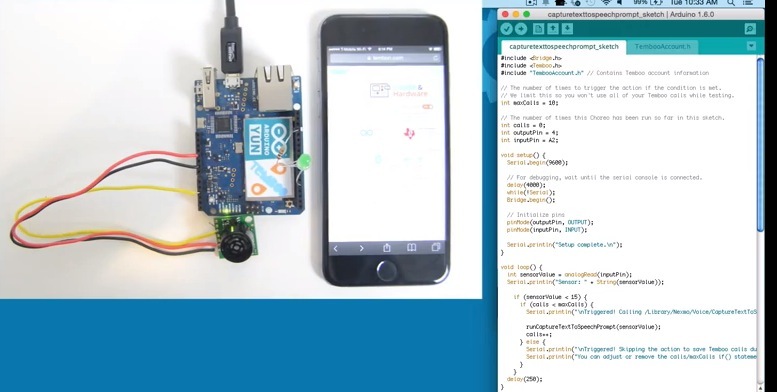 A site called codeanywhere has acquired the online Arduino development environment and brought it back to life. In addition to the main Codebender site, the edu and blocks sites are also back on the air. Not only is this great news, but it also makes sense. The codeanywhere site is a development IDE in the cloud for many different programming languages. The downside? Well, all the people who said they’d be glad to pay to keep Codebender alive will get a chance to put their money where their mouth is. We have to wonder how many people will pay $120 / year to do something they can do for free. Mbed has support from ARM and offers a free IDE. Maybe a better deal with Codebender would have been with Atmel or Arduino. Not that we are opposed to charging for services, but we imagine a lot of people will just use free tools unless they have a strong use case for using a cloud-based service. We covered Codebender’s short-lived demise back in October of last year. All over the world, in particular in underdeveloped countries, people die every year by the thousands because of floods. The sudden rise of water levels often come unannounced and people have no time to react before they are caught in a bad spot. Modern countries commonly have measure equipment deployed around problematic areas but they are usually expensive for third world countries to afford. [Benne] project devises a low-cost, cloud-connected, water level measuring station to allow remote and central water level monitoring for local authorities. He hopes that by being able to monitor water levels in a more precise and timely fashion, authorities can act sooner to warn potentially affected areas and increase the chance of saving lives in case of a natural disaster. At the moment, the project is still in an early stage as they are testing with different sensors to figure out which would work best in different scenarios. Latest version consists essentially in an Arduino UNO, an ultrasonic distance sensor, and a DHT temperature/humidity sensor to provide calibration since these characteristics affect the speed of sound. Some years ago, we covered a simple water level monitoring using a Parallax Ping sensor, but back then the IoT and the ‘cloud’ weren’t nearly as fashionable. They also tested with infrared sensors and a rotary encoder. If you don’t have a Raspberry Pi Zero right now, you’re not getting one for Christmas. Who would have thought a $5 Linux computer would have been popular, huh? If you’re looking for a new microcontroller platform you can actually buy, the Arduino / Genuino 101 is available in stores. This was released a few months ago, but it still looks pretty cool: DSP, BTLE, and a six-axis sensor. If you don’t know [David], the Swede, you should. He’s the guy that launched a glider from a high altitude balloon and is one of the biggest advocates of tricopters. Now he bought an airplane wing for his front yard. It was an old Swedish air force transport aircraft being broken up for scrap. Simply awesome. Chocolate chips. Now that the most obvious pun is out of the way, here’s how you make DIP8 cookie cutters. [Barb] is over at the Crash Space hackerspace in LA, and she has a YouTube channel that goes over all her creations. This week, it’s a layered wood pendant constructed out of many layers of veneer. Take note of the 3M 77 spray glue used for the lamination and the super glue used as a clear, hard finish. Star Wars was released and we have a few people digging through the repertoire to see what [John Williams] lifted for the new movie. Here’s musical Tesla coils playing the theme for the Force. Flickr gives you a full gigabyte of storage, but only if you upload JPEGs, GIFs, and PNGs. That doesn’t prevent you from using Flickr as your own cloud storage. We know two things about [Hans Fouche]: he lives in South Africa and he has a gigantic 3D printer. His latest creation is an acoustic guitar. It may not sound great, but that’s the quality of the recording. It may not play great, but he can fix that with some acetone vapor. It would be very interesting to see 3D printing used in a more traditional lutherie context; this printer could easily print molds and possibly even something to bend plywood tops. Starting in 1990, [deater] would make a yearly Christmas-themed demo on his DOS box. You can really see the progression of technology starting with ANSI art trees written in BASIC, to an EGA graphical demo written with QBASIC to the last demo in 96 made with VGA, and SoundBlaster effects written in Turbo Pascal and asm. Learn how to pull realtime sensor data from a beehive to monitor its weight, temperature, and humidity over the internet. The post The Internet of Bees: Adding Sensors to Monitor Hive Health appeared first on Make: DIY Projects, How-Tos, Electronics, Crafts and Ideas for Makers. Digistump has recently announced a partnership with Particle over cloud infrastructure that may well be a signal that the diasporan expansion in microcontroller market may be coming to an end. The post Digistump Announces Partnership with Particle’s IoT Cloud appeared first on Make: DIY Projects, How-Tos, Electronics, Crafts and Ideas for Makers. Blynk is a new platform that allows you to build interfaces for controlling and monitoring your projects from your iOS and Android device. The post Control an Arduino with Your Smartphone via Blynk appeared first on Make: DIY Projects, How-Tos, Electronics, Crafts and Ideas for Makers. 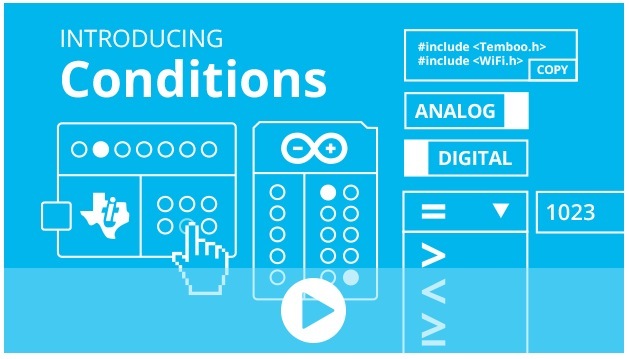 Last week Temboo just added new Conditions features to its IoT Mode interface, making it even easier to connect your Arduino to the Internet of Things! Now, the functionality of Temboo’s Device Coder has been extended to all 2000+ Choreos in the Temboo Library, meaning that data collected from sensors attached to an Arduino Yún can be used to trigger any cloud process, and responses from the cloud can be used to trigger all sorts of hardware actions on your board. 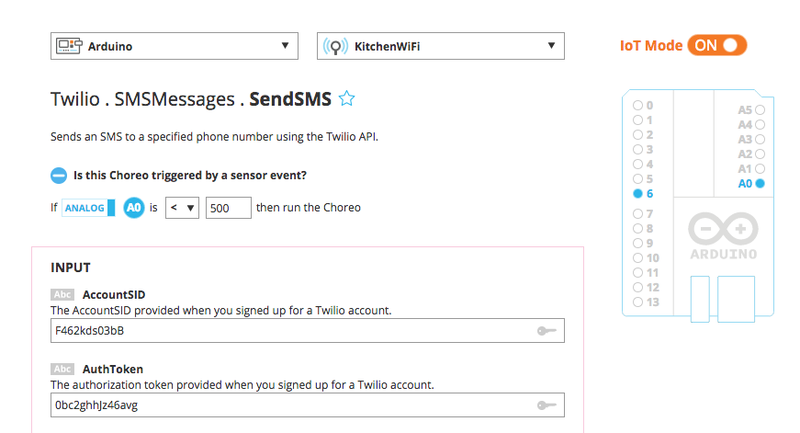 Using IoT Mode on the Temboo website, you can automatically generate ready-to-run Arduino code to execute Choreos from your board without having to write a single line of code yourself—just specify which board and shield you’re using and what Choreo you’d like to run, and all the necessary code will be generated immediately in your browser. And you can also now visually specify what sort of hardware inputs and outputs you would like to use: the code to connect them to your Choreo will be generated as well. The visual interface includes a pin selector tool that lets you choose which pins you want to activate and how you want them to interact with the Choreo you are running. The pin selector identifies the pins on your board that are available, and also indicates whether those pins are configured to work with digital or analog I/O. Like the generated code itself, the pin selector interface will change to reflect the board and shield you’ve chosen to work with. Conditions make it quick and easy to build a massive range of IoT applications, like a thermometer that sends SMS alerts, or a motor that runs when it receives an email. Just specify how you want your pins to interact with the web services you are using, and thanks to Conditions, what you specify will be reflected in a complete, production-ready program generated instantly in your browser. Try it out, and email hey@temboo.com to let them know what you think!